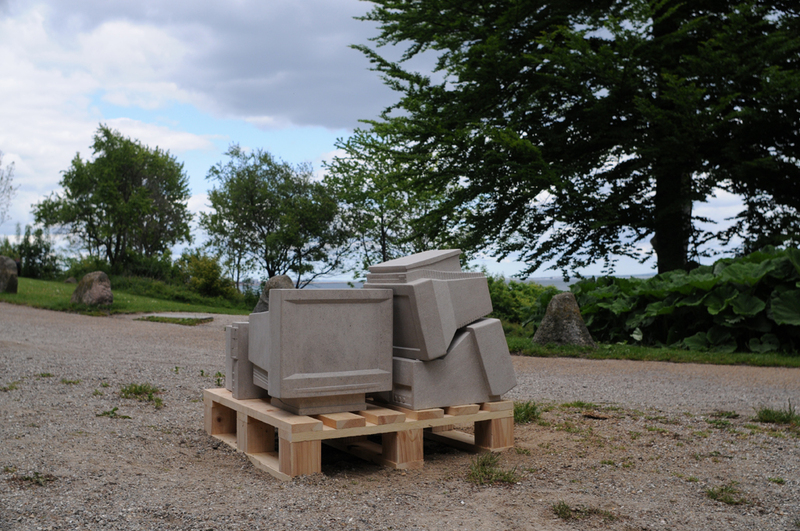 Hand-carved Indiana Limestone, Pallet. 42 x 32 x 30 inches. There’s a pedestrian bridge in Toronto’s west end; it’s built above a series of train tracks. A few years ago, I walked over it; looked down and noticed a computer monitor on the tracks below. 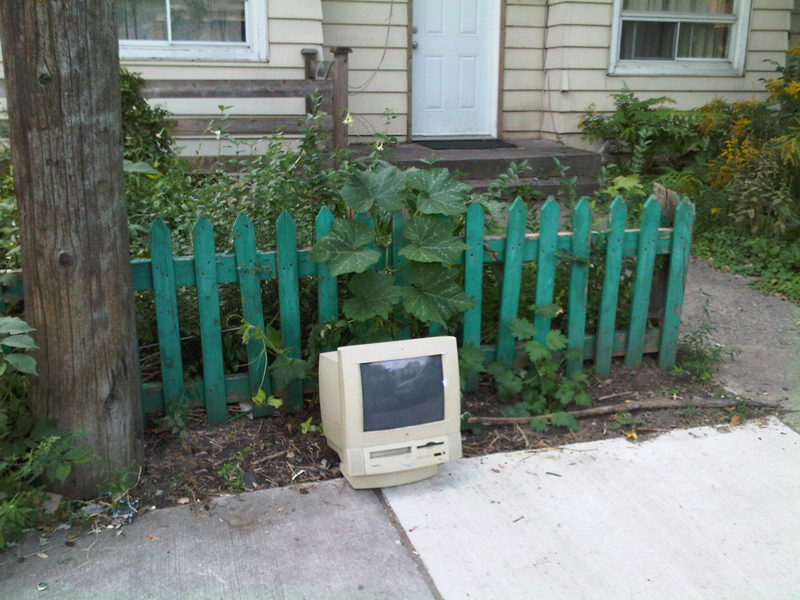 The monitor’s screen faced upward, as if it was looking up at me. 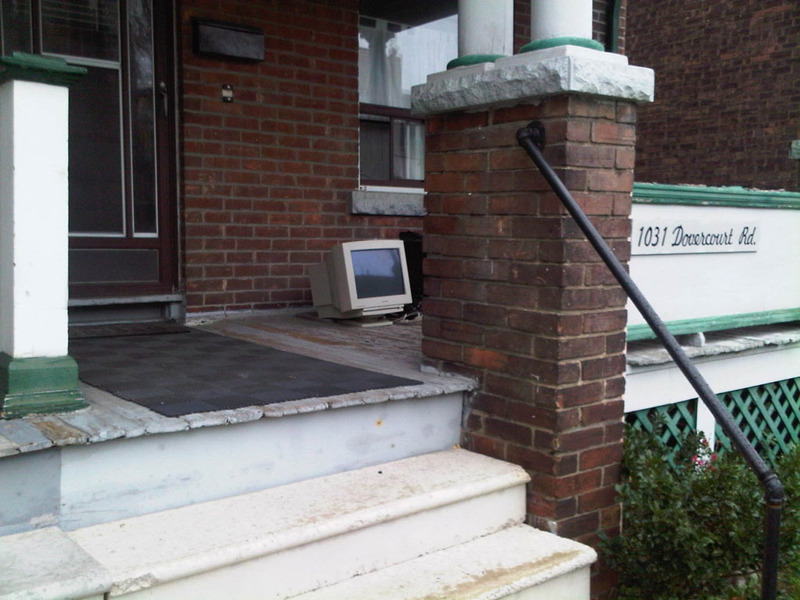 This occurrence made me pause and wonder why? 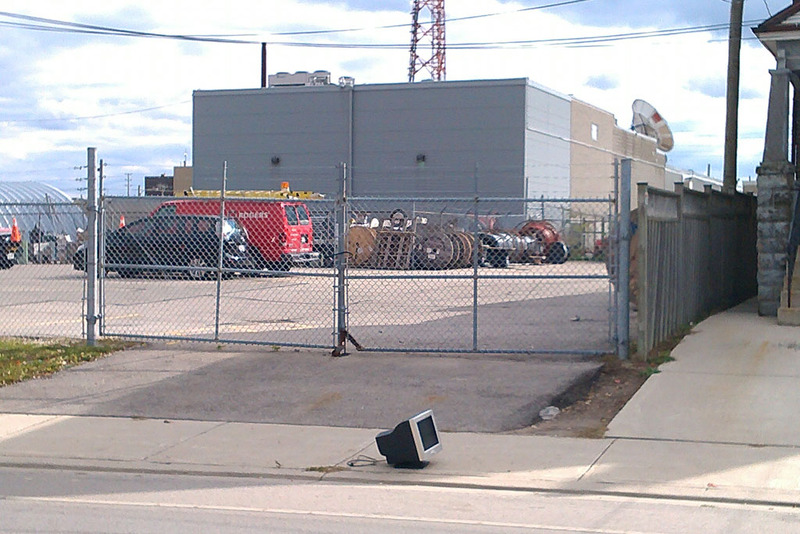 Was this object so useless and undesirable that it deserved to be discarded in such a dramatic way? 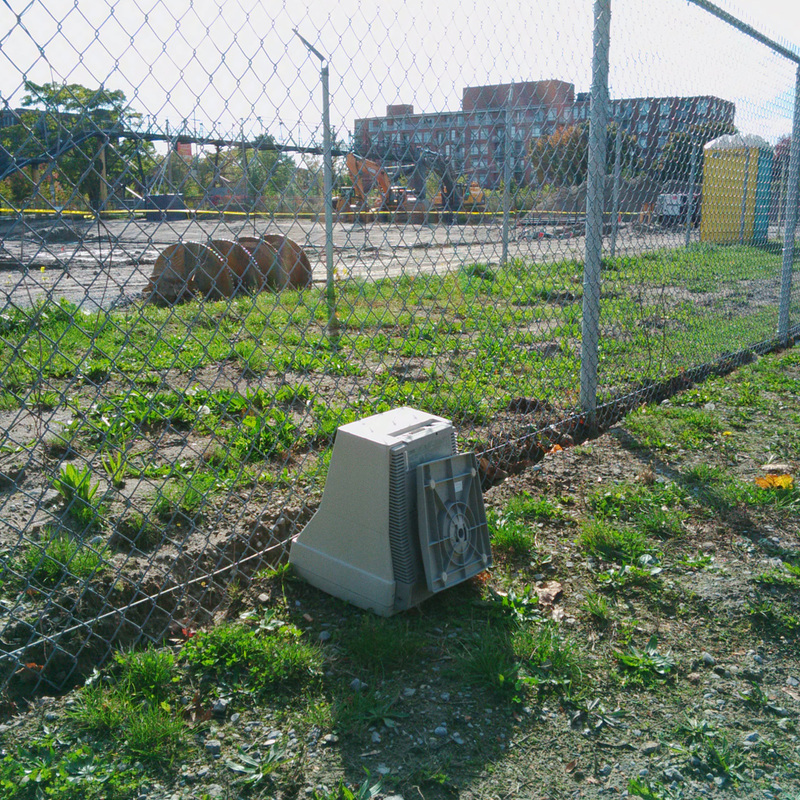 The monitor marked a moment for me, a time and place; it became an icon for every other out-dated, unwanted computer monitor in the world. 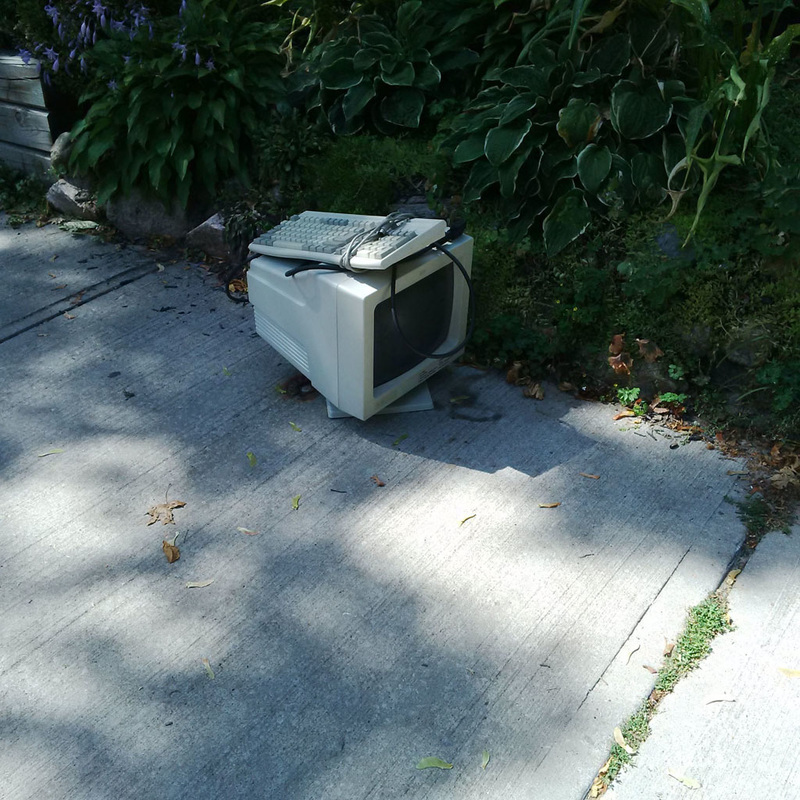 After this experience I began to notice a lot of electronics being discarded around the city; Curbside is a photographic collection of these occurrences. 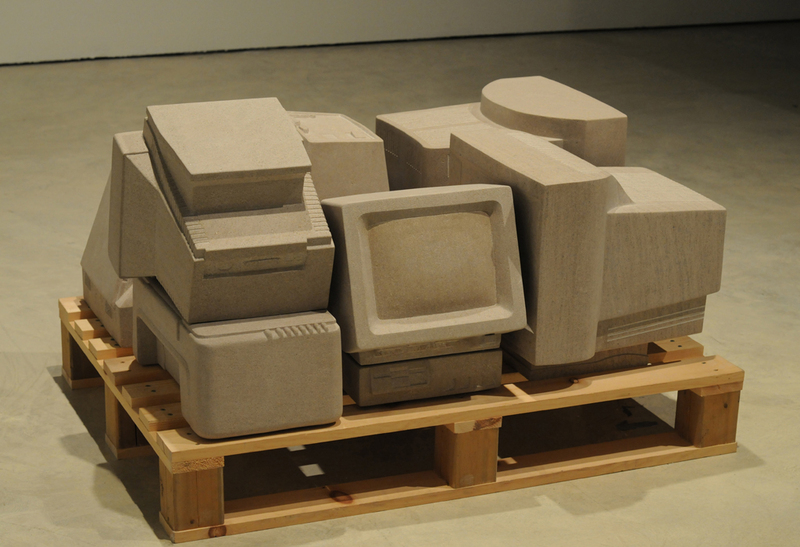 I began collecting the objects and carving them out of limestone; a material that mimics the 1990s electronics’ beige plastic, designed to be neutral. 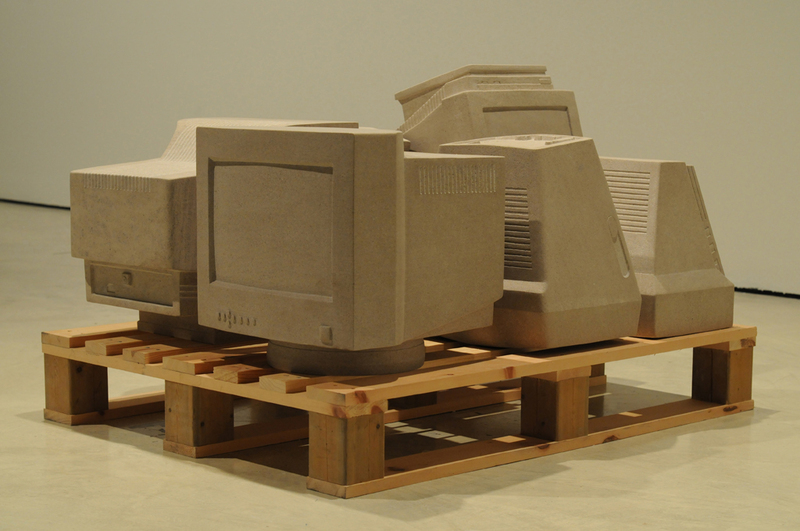 The materiality of stone, historically used for monuments and sculptures, highlights the weight and scale of these devices and also commemorates the pc uprising. 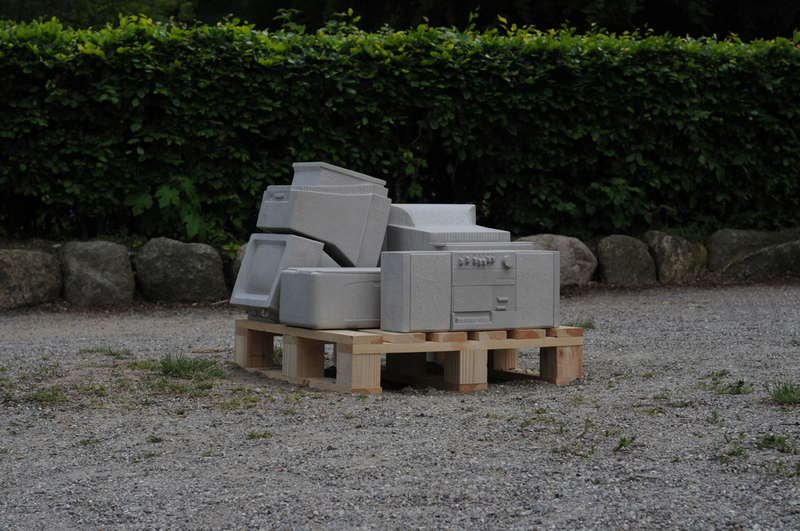 One Man’s Junk explores the tensions between the monumental and the handheld, the disposable and the permanent, and the interactive and the inert.